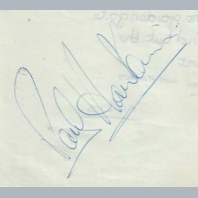 An original 1976 autograph book page, clearly signed in ballpoint by Alan Jones. 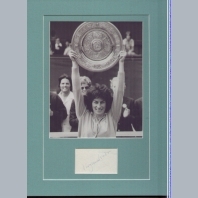 Double mounted for fine display with photograph. 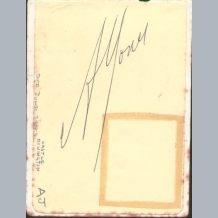 NB ; There are two small (approx 1x1cm sized) tape stains showing through on the page caused by it being previously fixed into an autograph scrapbook. It has been backed over in these small areas with acid free tape to protect it for the future and when display mounted with white backing card will only be partly visible. CERTIFICATION ; From an outstanding (circa 1973-1977) motorsport related autographed scrapbook containing over 60 notable signatures of F1 / F3 / Club-Racing / 500CC Motorcycle Riders and drivers of the period. All appear to have been collected at the major UK circuits including ; Silverstone / Brands Hatch / Oulton and Mallory Park. The great majority have typed collectors notations for actual places and dates of signing. 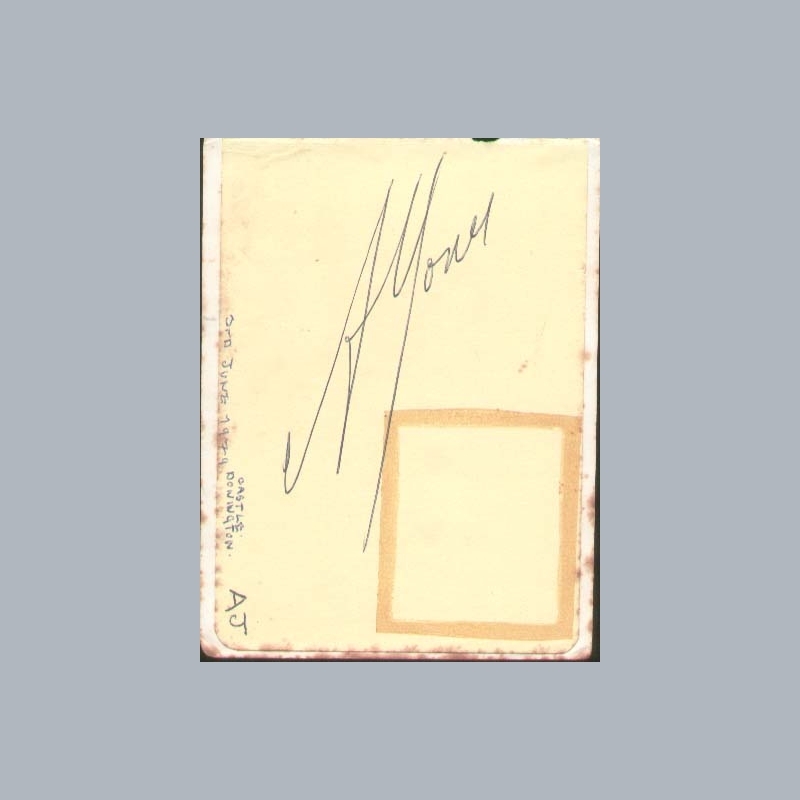 We will include a proof-photocopy showing the origin of each page as it was removed by us from the album, showing the original locations of the higher profile signatures. 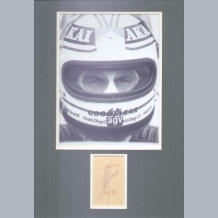 This Alan Jones autograph was signed at the 1976 British Grand Prix at Brands Hatch. AFTAL Dealer No13 and UACC RD Memorabilia UK COA. 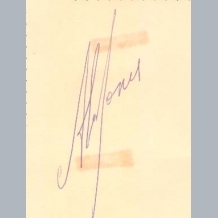 ALAN JONES autograph. 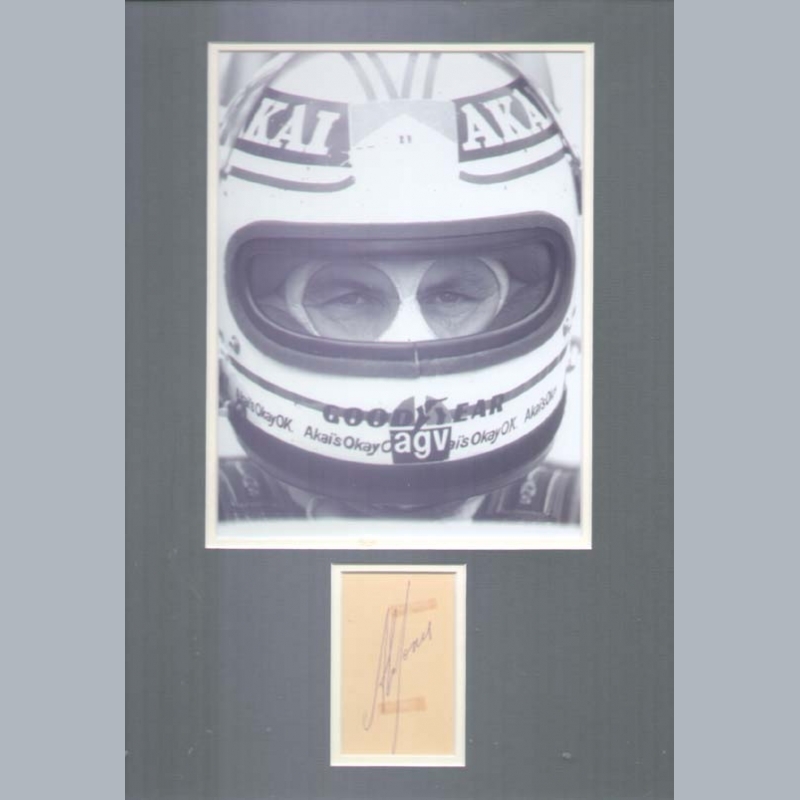 Australian F1 driver active between 1975-1986 with a variety of teams including ; Shadow / Williams / Arrows and Lola. 117 GP starts with 24 podiums and 12 wins. The World Formula 1 Champion of 1980 with Williams. 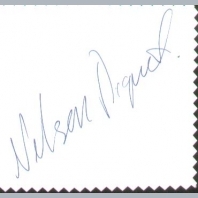 A 1979 autograph book page clearly signed in ballpoint. CERTIFICATION ; Collectors notation is for Donington Park 3rd June 1979. AFTAL Dealer No13 and UACC RD Memorabilia UK COA. We have no videos for Alan Jones.